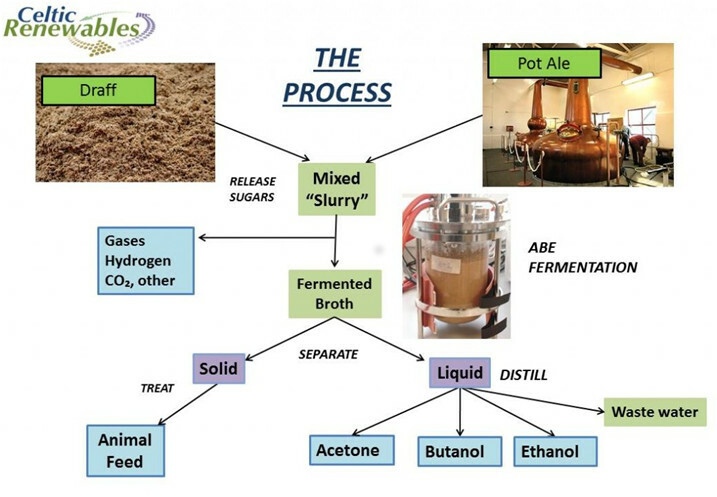 Process to turn whisky by-products into biofuels. Keep drinking! Celtic Renewables, an Edinburgh-based biofuels company, has signed an agreement with Belgium’s Bio Base Europe Pilot Plant to start testing its process to turn whisky by-products into biofuel that can power vehicles. After receiving a further €1.5 million in funding, Celtic Renewables will be the first company to trial biobutanol technology at the biotechnology pilot facility in Ghent, Belgium. The Scottish company hopes that the industrial samples of biobutanol derived from whisky production residues can be used as a clear substitute for petrol and diesel, without the need to adapt engines. The second round of funding helps meet the facilities goal of creating a new €125 million-a-year industry in the UK.